Hello, this is Arca with some exciting Star Wars news! 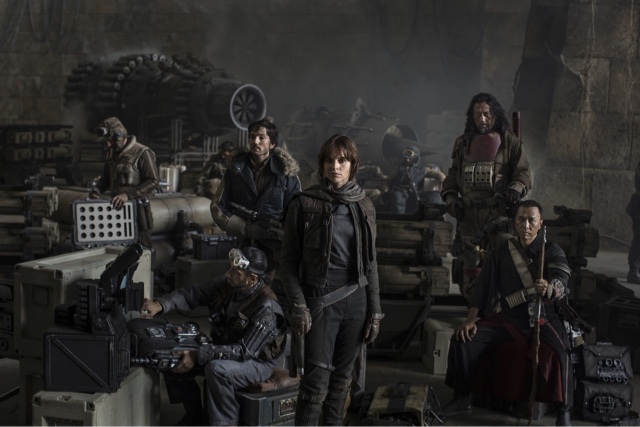 It has been more than 4 months since the first trailer for the upcoming Star Wars anthology film, Rogue One, was first released. We have all been waiting a long time for this to happen: the second trailer will be revealed! You can watch it tomorrow, which is Thursday, August 11th during Rio Olympics coverage. They have not stated which time. Since I will not be able to watch it on TV that day (I will be on a road tripto Gürün, my next stop in Turkey), I can watch it on the official Star Wars YouTube channel. They usually upload trailers minutes or even seconds after they start airing live on TV. I will probably do an analysis of this trailer later this month, when I am back from Turkey. Apparently, now Hollywood makes trailers for trailers! But I am excited for it anyways! Expect a post later today on what I did in Ankara during my Turkey trip. I hope you enjoyed this post! Be sure to share it on any social media if you enjoyed this with the hashtags #ttht and #tthtblog. View daily to help me reach 12 thousand views before Thanksgiving! See you next time! BBBYYYYEE!!!!!! Happy 17th Birthday Dipper and Mabel!